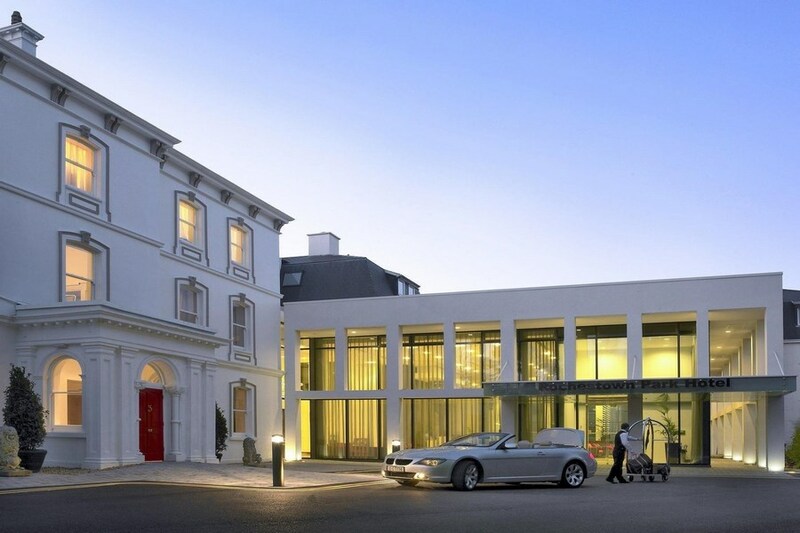 The Rochestown Park 4 star hotel Cork, formerly one of Irelands most important historical houses, has been meticulously restored and refurbished over the past 20 years to culminate into an international luxury hotel. One of the best located Cork hotels, Rochestown Park is standing impressively adjacent to the south ring road within the prestigious village of Douglas, a mere 3km from Cork City Centre and Cork International Airport. Second left after Jack Lynch Tunnel, heading in Rochestown direction. Just back from a weekend stay in The Rochestown Park Hotel. Hotel was fab, staff were really friendly and good with the kids. Food was delicious in The Bistro and a very good variety of foods. Kids went to the kids club and had a ball. Great service at breakfast and loads to choose from. We will definitely be back. We spent 2 nights here with friends and all had a great time. The staff were extremely friendly and helpful, we ate in the Bistro both bights and the food was excellent. The kids really enjoyed the pool and we thought the gym was great and really well equipped. We would definitely stay here again. Lovely hotel. Great food and helpful staff. Good location for Fota and Cork City. Ferry was a great way to get to Fota - avoided all the traffic. Stayed a Sunday night with my husband to attend a nearby event. Nice hotel inside and out, lovely grounds. I love the heated outdoor area outside the bar where you could comfortably enjoy a meal/drink outdoors and be nice and warm as it was generously heated. The room was above average I felt, the bed was very comfortable and the walk in shower was a real luxury with rainfall and jet options (these might not be the right terms but not your average shower!) We had a lovely meal in the bistro which we felt was good value as the food was tasty, the portions were generous and the staff and service were exceptional. The bistro was a very pleasant place to dine with comfy armchairs and generous gaps between the tables, the very opposite of cramped. You can control the temperature/air con in the bedroom so we had a good nights sleep. Breakfast in the morning was very good and not busy or rushed. Check in and checkout were efficient. I got my stay on a deal and it way exceeded our expectations. This is a classy well run place and I would definitely stay here again - excellent. Wonderful hotel, brilliant facilities, but best of all the most helpful friendly staff you could wish for. First class customer service. The break was excellent value for money, a real bargain. The room was massive with 2 double beds, the meal was lovely and the breakfast was a feast fit for a king. Really nice hotel with great service. Vibrant hotel, only meal had in the hotel was breakfast which was really good. Very good value for money. Lovely hotel. Staff were very pleasant and helpful. Lovely food in the restaurant. Lovely hotel, everything positive except for one. Had booked a double room and arrived to find a room with 2 single beds pushed together, stayed the first night but then changed to a proper double room. This was not a genuine mistake because why would you have 2 single beds pushed together in any case? This may be why they are able to offer a competitive price on a "double room"...... because it is NOT a double room. Very underhanded I think as most people would prob be too polite to say anything (its an Irish thing). It spoiled it for me really as I don't like being deceived when spending hard earned money €150!!! Lovely rooms, food, staff and a nice leisure centre. Stayed at Rochestown Hotel Jan 2015. The hotel has been extended several times, but badly designed. You drive all around hotel to find reception. Had to park a long way from main entrance. Room had good 5ft bed but really only big enough as a single room. Tiny wardrobe with 4 hangers; we had to leave clothes in case. Bathroom good, shower excellent. Breakfast excellent. Voucher given at check-in for 2 prepaid dinners; husband asked for more coffee but was told "we don't do refills". Staff mostly good. We recently had a thoroughly enjoyable 4 night stay with our 10 year old. Nice, bright, clean and spacious room. The staff were super friendly and the hotel pool was great. Even though we managed to blow a fuse in the room (dodgy socket I think), housekeeping were very quick to put things right. Breakfast offers both hot and cold options and plenty of refills. The only negative was the steak husband ordered on the first night, it was very over done and the onions were underdone, however, the chicken dish ordered by myself was gorgeous. Would recommend this hotel to a family looking for a decent hotel with pool close to Cork City, Cobh and Fota. Stayed for bed breakfast and dinner. The staff were helpful and friene dly, the room was clean and nice and for a couple the added bonus of a proper double bed. The leisure facilties were great, the swimming pool was lovely and warm. We had a great time. staff friendly & v helpful-made our stay more enjoyable.... excellent hotel and facilities.. will recommend it to friends. thanks for great break away! Top class. Could not fault. Excellent friendly service! Super hotel for families, staff are so friendly and helpful. This was an excellent experience. The quality of service/food/accommodation I received was second to none. I will only ever stay in Rochestown Park Hotel when next I visit Cork. Excellent. Thank you. Excellent Hotel, had a great time. Hotel catered for adults and children. Very friendly and helpful staff. Would recommend this Hotel for a great stay. Stayed in this hotel for 2 nights on 21st March and it was a pleasure. Staff all round were lovely. Hotel room consisted of 1 double bed and 2 single beds for 2 of us which was a family room so no complaints there. The food in the restaurant and the bar was excellent ,compliments to the chef or chefs and very well presented. There was entertainment the first night which was a bonus. Hotel is situated within easy driving distance to cork. Would definitely stay here again. Bit disappointed to be honest. Given one of the rooms which has yet to be refurbished and it certainly showed its age. Bit drab with loose fittings in the bathroom. Ate in the restaurant both nights and was equally disappointed on both occasions. Food is served within minutes of being ordered and has that reheated crust and taste. Waiting staff seemed disinterested.The only plus was the kids loved the pool. Final thing to say that the lobby in the hotel was freezing (Paddy's weekend) and would definitely make you want to dwell. My advice would be to stay elsewhere. The hotel was comfortable, regarding the leisure facilities the changing rooms were filthy, the showers were dirty with more than one empty shower bottle and lids on the floor. The swimming pool had excessive chlorine and our children thought their were insects jumping under the water, the water was very cloudy it was difficult to see even with the goggles on, it turned out to be bits of dirt. There were used plasters around the drains of the jacuzzi and used plasters around the bottom of the pillars, looks as if they had been there a while, will definetly not be using these facilities again. The breakfast was very good and there was alot of choice, the room was big and spacious and clean. very nice hotel will stay here again, we got a nice room with lights that changed colour. the steam room and jacussi were also nice. the staff in the breakfast room, bar and reception were all very nice. We enjoyed our stay at RPH.Dinner was lovely.Staff were friendly.Our room overlooked the dual carriageway and it was noisey from traffic.Would stay here again.Good value for money. Stayed last weekend at the Rochestown Park Hotel with our kids , we had a great time , the hotel was great ,very friendly staff and lovely food , would definitely stay there again. We really enjoyed our stay in the Rochestown Park Hotel. We have two young children and found the family room to be a good size and very comfortable. The food in Suttons Bar was very good too. Would highly recommend this hotel! GREAT SERVICE SHOULD BE A FIVE STAR HOTEL. What a fabulous stay we had at Rochestown Park Hotel last Sunday night for our little holiday with our 2 small children. Not only was it fantastic value for money with a 2 course meal for the adults included but the staff were very friendly. The facilities were great, the kids loved the pool. And one thing that stood out in my mind is that without having to be asked the staff brought out the kids dinners first which was very thoughtful as sometimes trying to keep them entertained while waiting on food can be walking a tight rope!! Thank you kindly and I look forward to returning. The hotel was lovely, staff were very helpful and the food was really nice. I would stay here again. Excellent hotel and facilities. Staff were very helpful. Would highly recommend. Happy. Good service. Leisure centre changing rooms a bit cold though. Great hotel for young families. Staff are exceptionally friendly. Lovely decor and great food. Hope to return! 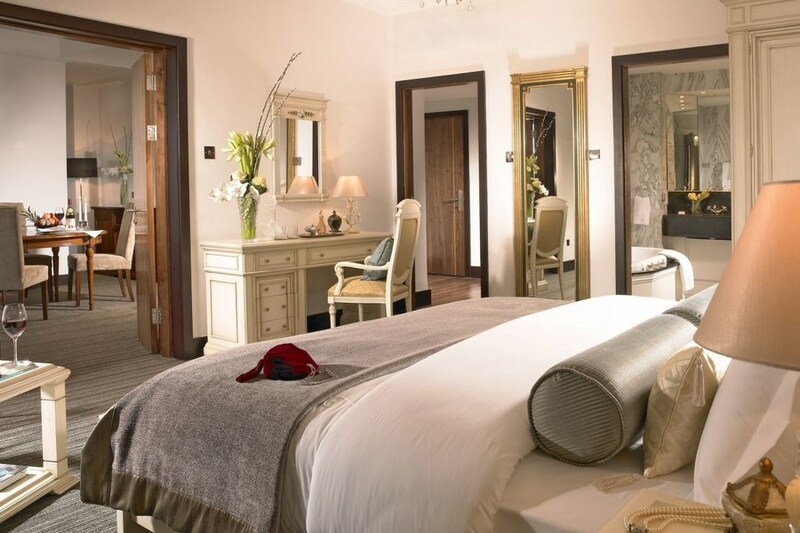 My wife and I stayed one night in the Rochestown Park and it was a most enjoyable experience. From the pleasant welcome at the reception, to the lovely room on the 5th floor, to the friendly attentive staff in the bar and bistro, it made for a very enjoyable stay, at a very reasonable price. I would certainly recommend this hotel as a venue. Nice room, food and service excellent during our one night stay for bed, breakfast and evening meal. We stay regularly and adore this hotel, it's location is fabulous for shopping, cinema, bars and restaurants, the kids love the pool, and are welcome in the bar to have dinner in the evening which makes a stay a nice sociable experience, nice atmosphere in the bar and overall a lovely stay. This was a most enjoyable break. The hotel and staff were very efficient and very friendly with no effort spared to make us feel welcome. The room, food and service excellent and the leasure centre/swimming pool lovely. Well done staff at Rochestown Park. We'll be back again. we had 5 rooms booked on fri 15th november we had a wonderful time dinner and breakfast were especially good. We stayed in the Rochestown Park Hotel for two nights on December 1st. Four of us booked in and from check in to check out I could not fault the hotel. The staff are incredibly friendly, efficient and highly professional. We ate in the hotel on both nights and the food was fantastic. There is a great selection on the menu and you have the choice of early bird prices or evening prices which is great. Presentation of all the food was second to none. As soon as you enter the hotel you can not but be struck by the amazing decor- it is outstanding. While very modern in design, you still get the feel of a family hotel and by no means the clinical feel you can get in some boutique hotels. The bedrooms are equally impressive. Very well appointed, great size. They have mood lighting, the most comfortable hotel bed I think I have ever slept in thanks to memory foam mattresses!. The shower is terrific, absolutely huge. From a cleanliness point, I would give the hotel a straight 10. Nothing was amiss in any aspect of the stay. Breakfast was really good also. The restaurant staff could not do enough for you. Friendly on arrival and attentive throughout the visit. The hotel offer a huge selection in the breakfast room from cereals, meats, breads down to the cooked breakfast. And they have one of the cheeriest chefs around!! All in all a great place to stay and we are looking forward to a return visit. Five Stars ***** The Reddys. Very friendly staff but room was very old fashioned. Big old bulky tv. There was signs saying the hotel was recently refurbished so maybe they just hadn't gotten to our room yet! Otherwise it is a nice hotel. We had a Family thing on there and were looked after brillantly - the food was lovely for it. The rooms were very nice and the location was ideal. Only gripe was that the breakfast was not great. Really enjoyed our stay at the Rochestown PArk Hotel. The room was compact but lovely - particularly the mood lighting. The shower was fantastic. Good location, easy to get to and close to mahon point for shopping and cinema. Had an evening meal in the bar which was very tasty. Overall, a lovely relaxing time. We had an excellent break and this hotel and will definately return.